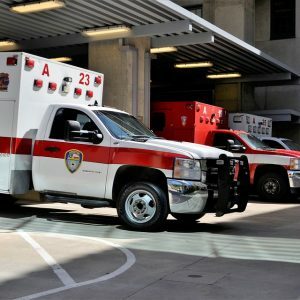 Gilmer, TX (March 20, 2019) – On March 20th, just before 8 a.m. on Wednesday morning, a pedestrian was injured in an accident with an automobile. The pedestrian was described as a young female high school student from Gilmer High School. The incident took place at the intersection of North Bradford St. and Buffalo St.
Gilmer police secured the scene of the accident while medical crews transported the student to a nearby hospital for treatment. At this time, we are unaware of the extent of the young girl’s injuries. However, we are aware that the victim was conscious while being transported. Our thoughts are with the student and her family at this time. We hope that she can make a full recovery from her injuries. During 2015, over 3,500 victims were seriously injured in pedestrian accidents across Texas. These accidents often result in serious and life-altering injuries for victims simply because they are often completely vulnerable to the impact of vehicles weighing thousands of pounds. Cases where vehicles are traveling at high rates of speed often have more devastating results. Texas injury accident attorneys at the Benton Law Firm are dedicated to helping accident victims obtain full and fair compensation to help alleviate some of the burdens they face from medical treatments, lost wages, and various other financial damages. Our Texas personal injury attorneys work diligently to help those injured get compensation and justice for their devastating experience. Our knowledge of personal injury laws in Texas has enabled us to help victims collect millions of dollars for damages and injuries in their cases, and we are dedicated to helping you obtain the maximum amount for yours. Contact our law firm at (214) 219-4878 to schedule a free case review as soon as possible.